It is with great sadness that the family of Mrs. Shirley Marie Jones, of Peachtree City, Ga., announces her passing on November 30, 2018, at the age of 83. She was preceded in death by her son, Jay Brenton Strong; former husband, Hamilton Max Strong; sister, Patricia May, and parents, John H. and Iva Bouer. She is survived by her husband, C. Earl Jones; three children Terri (Brad) Koehn of Peachtree City, Cynthia Rhoades of Senoia, and John (Brea) Strong of Ft. Collins, Colo.; stepchildren, Greg (Ann) Jones and Lori Kozusnik; grandchildren, Amy, Andrew, Amanda, Chelsea, Nicholas, Jonathan, and Logan; and great-grandchildren, Riley, Ashley, Emily, and Abigail. Shirley will also be forever remembered by extended family and dear friends. 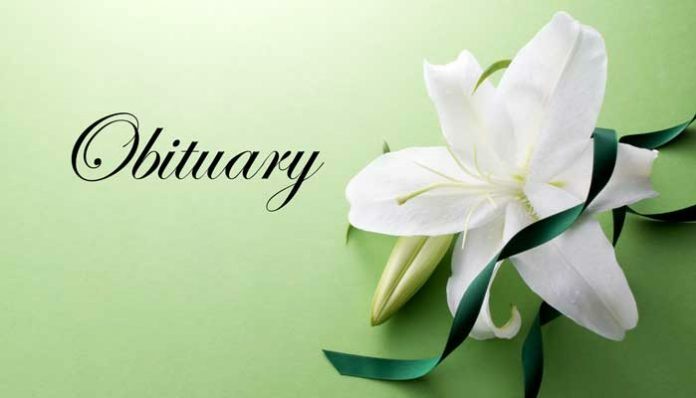 Funeral services will be held Saturday, December 8, 2018 at 11 a.m., at Peachtree City United Methodist Church, 225 Robinson Road, Peachtree City, officiated by Reverend Sean Robinson. A reception will be held immediately following the service. Expressions of sympathy may be made in the memory of Shirley to The Breast Cancer Survivors’ Network Inc., 1401 Georgian Park, Suite 110, Peachtree City, Ga. 30269, www.bcsurvivorsnetwork.org.